French Open 2018 Men's Final Higlights, Rafael Nadal vs Dominic Thiem: Rafael Nadal beat Dominic Thiem 6-4, 6-3, 6-2 in under three hours for his 11th Roland Garros title. French Open 2018 Men’s Final Highlights, Rafael Nadal vs Dominic Thiem: Rafael Nadal clinches his 11th Roland Garros title after beating Dominic Thiem in straight sets. With a 6-4, 6-3, 6-2 win, Nadal extended his grand slam titles tally to 17 and now stands just 3 behind Roger Federer who had chosen to skip the tournament on clay for a second straight year. Through the course of the tournament, Nadal just dropped one set – against Diego Schwartzman – before going unbroken in the subsequent two matches. In the final as well, Nadal faced little trouble dispatching Thiem who had gotten the better of him twice in the last two years and the only player to have beaten him on clay going into the clay major. What an exciting two weeks these have been from Paris. On one side we have a new champion in Simona Halep and on the other, we have someone doing it for 11th time in Rafael Nadal. The runners up - both first time finalists in Paris - will consider these to be two weeks well spent. Sloane Stephens pushed Halep all the way. But Dominic Thiem couldn't get his game to work on the day that mattered. But he's made a good account of himself and looks well on course to a title in the future. Our focus next will be on the FIFA World Cup starting June 14. Stay tuned to IndianExpress.com for everything from the world of sport. Au revoir! Rafael Nadal: "It was an honour to play the final with you, a great player, more than that a good friend. Great job by your team." "Thanks to everyone with me and in my team. Helping me throughout, not just now but throughout my life. It had been a difficult year and for staying with me." "Many thanks to the fans, you've been unbelievable, I couldn't have done this without you. And I hope to come back next year for more"
Dominic Thiem: Very well done. To win this tournament 11 time is an amazing achievement. For me there have been two great weeks. When you won in 2005, I was 11 years old and now to stand here with you is a great feeling. "Soon I hope to have a chance to play here. Hopefully next time I stand here for the final, I will be able to speak in French. Hopefully my next final will always be against you. " Rafael Nadal receives the trophy for a record-extending 11th time. He is on the verge of tears as he gets the trophy and the reception continues. Massive applause for a few minutes for the Unadecima title! Legendary Ken Rosewall walks down to present the trophy at Roland Garros. "I'm really pleased I'm not playing today. Players of today are exceptional athletes and no words can express what Rafa has done for the game of tennis. He has done exceptional things for the sport. Would have liked to see more sets today. Rafa was a little bit too good and Dominic was a little bit disappointed with his own game today." Rafael Nadal speaks after the match win: Dominic Thiem has had a great few weeks. He is someone the tour needs and he will win in the future. Very happy now. Tough moments at time when I had cramps on the hand. Tough sport against a player that pushes you to the limit. I can't describe my feelings. Winning an 11th title here is something I never imagined. Nadal serving for the match: Thiem sends his backhand wide after a long point and stretching Nadal to both sides. 30-0 to Nadal as Thiem's UE count reaches 40. Serve down the tee, angles away late, and Thiem's backhand is wide. CHAMPIONSHIP POINTS. Nadal goes for too much on the backhand and it is wide. One chances wasted. TWO MORE. Thiem savs another by progressing to the net for a forehand winner. Mishit by Nadal after a deep return from Thiem's backhand and it is deuce. What a rally. Both players trading blows from both sides before Thiem is guilty of going for too much on the forehand and sends it long. FOURTH CHAMPIONSHIP POINT. Another one saved by Thiem. Has Nadal stretching on the backhand and the attempted winner is wide. Deuce. Thiem tries to go for outside the line but goes wide off the forehand. FIFTH CHAMPIONSHIP POINT. Thiem sends the return long and Nadal wins his 11th French Open title! 6-4, 6-3, 6-2 in two hours and 42 minutes. King of Clay wins it once again! BREAK! Rafael Nadal goes one game away from an 11th French Open title as Thiem sends his forehand wide. Pushed far and out of the court by Nadal with an angled backhand and Austrian goes for an all out winner but too much angle required and doesn't get the desired purchase. Thiem stays within Nadal's advantage with a hold of serve. Meanwhile, more importantly, at the change of hands after, Nadal gets treatment on his left hand. No medical time out but looks like the fingers of his left hand are cramping up. A mishit aside, comfortable hold for Nadal to start the third set. After quickly closing out the serve, he goes off to clean the dirt off the baseline. As he does every game... All about method. TOUGH HOLD! Three break points for Nadal after three errors. Saves one with a thumping forehand winner down the line. And another after forcing Nadal into the forehand and keeping the ball. Saves another as Nadal's bakchand pass attempt sails just long. Thiem clenches his fist as he looks at his box. But after three great points, he makes the mistake of going for too much on the forehand and that's break point Nadal. Saved! Error by the Spaniard and the ball lands into the tramlines. What a scramble by Thiem. Tough volley for Thiem after coming up to the net. Has to stretch towards his right and just about gets his racket to it and there's little pace on it for Rafa to chase down. Thiem finally holds as Nadal's effort lands into the net. ATP Media Info informs: "Nadal has saved 16 consecutive break points going back to 3rd set of QF win over Schwartzman"
Thiem continues to fight even as the errors pile up. Gorgeous play from the Austrian to keep Nadal pegged back and uses it to play a deft drop shot. It brings up break point. Meanwhile, a time violation for Nadal prior to that point. Nadal is equally effective with the drop shot. It hits the line and Thiem fetches, Nadal tries to go for a winner but Thiem picks it up once but not a second. Break point saved. Deuce. Nadal with yet another drop shot, Thiem with another pick up but this time the Austrian can't get the ball after. Thiem not being allowed to get his head into the game, mixing things up beautifully is Nadal. And now Thiem with a mishit which goes long and Nadal makes it 5-2. Thiem still fighting away. Holds with ease and gets a nod of approval on a backhand from Nadal as well. From 0-30 down, Nadal plays a near flawsless game to come back. But Thiem is waiting and forces to deuce with a courageous service return from the baseline. But Nadal then maintains himself to hold. Dominic Thiem gets his name o the board as the weather changes from sunny and hot to bit cloudy. Little fuss in holding serve this time around. BREAK! Nadal creates opportunity after another to break and Thiem comes back each time. Three saved and now four. Darting serve is followed up by a booming forehand drive volley winner down the centre. Back to deuce. Important for Thiem and his forehand that he holds here. A sliced backhand by the Austrian hits the top of the net and now brings up a fifth break point. Finally Thiem buckles. Sends a backhand wide and long and Nadal breaks after a lengthy game. Goes 2-0 up like the first set. Nadal with an all so comfortable start to the second set on serve. Much like the first. Same outcome? Too soon to tell. NADAL WINS FIRST SET 6-4! After being pushed all the way in the previous game, Thiem almost holds to love before throwing away that chance with a double fault. Holds in the end though. Nadal with a comfortable hold of serve once again. Thiem guilty of making another error in judging a ball. Expecting Nadal's floating reply to sail long but it lands in and Thiem's desperate attempt is into the net. Nadal's desperate attempt at getting the ball back lands long. Or so says the linesman. Hawkeye says out, chair umpire reckons it did land in. Thiem opted to let the ball go and Nadal wins the point. Never been more inconsistent this rule. Brings the game to deuce. Thiem with a strong serve to bring up game point. Trying to hold, Thiem's backhand hits the top of the net and unluckily for him, goes out. Thiem with yet another bold forehand after creating room on Nadal's return. Loopy return Thiem off the backhand and it is short for Nadal to just come up and drive home the advantage and bring the game back to deuce. Thiem now misses a simple forehand and it brings up break point. Both players go back and forth, bringing in tricky slices as well, before Thiem opens up the court with an angled forehand to force Nadal into an error. Deuce. Another error from Thiem and he's clearly unhappy here. Nadal tries to find the angle with the forehand but goes for too much. Very close to the line but still out. This game now stretching over 11 minutes. Fantastic point from both players before Thiem turns on the style. Superb touch by Thiem for a drop shot, great hustling from Nadal to pick it up but Thiem's half volley into open court results in a winner and brings up a chance to hold. Nadal hands it to him with a poor service return as it goes long. Decent hold for Rafael Nadal. One of the points of the match so far: Nadal plays a drop shot and Thiem comes up to the net, looks to be in cruise control to clinch the point but the Austrian hits the ball straight at Nadal and the 10-time champion just stands and lifts the ball over Thiem's head. Touch of luck there. In the end, Nadal holds through. Two double faults in the game and a missed drop shot later, Nadal suddenly has a break point out of absolutely nowhere. But Thiem comes back with strong serve on Nadal's backhand which goes wide and then an ace on deuce to bring up game point. Precision thy name is Nadal! Moves into the court and smacks a backhand winner past Thiem. But the Austrian comes back with another good serve and the return lands wide. Mishit by Nadal on the forehand and it goes long. Hold. Thiem with a gorgeous forehand winner cross court with plenty of zip on it and no chance for Nadal to chase it down. It brings up two break back points for Dominic Thiem. Mishit by the Austrian on the first one and that's one chance squandered. Poor from Nadal on the second break point. Near mishit and the backhand sits up beautifully for Thiem to ride into the forehand and thump it away for a winner. BREAK! Rafael Nadal starts off with a comfortable holder of serve. Barely bothered. His serve could be under severe challenge today - as Schwartzman tested it out. Positive start for now. 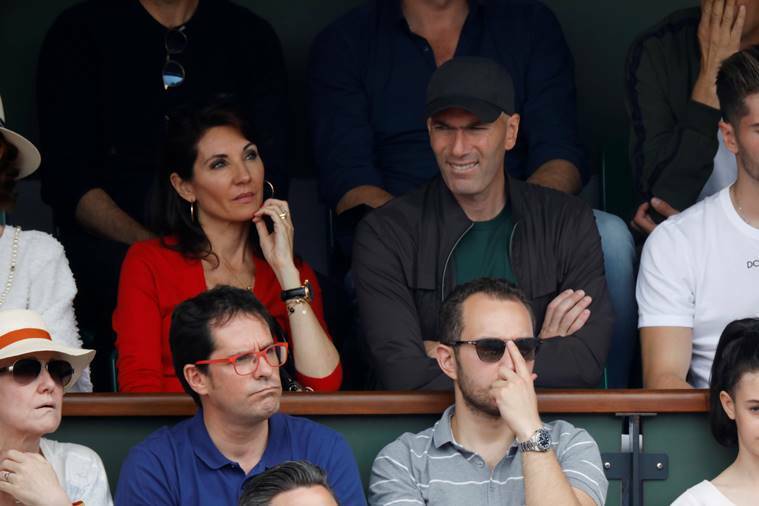 Meanwhile, look around the stadium and uncle Toni is in attendance. Dominic Thiem introduced to the French Open crowd first and draws a warm applause. Followed by Rafael with a rousing reception. While Nadal was being introduced, the chair umpire ran through Nadal's titles won in Paris: "2005, 2006, 2007, 2008, 2010.... , 2011, 2012, 2013, 2014... and 2017." Almost mentioning all the years from 2005 till now! Out walk Dominic Thiem, first grand slam final, followed by Rafael Nadal, 24th grand slam final, on the French Open clay. TOSS! Thiem wins the coin toss and chooses to receive. Nadal blitzed past Juan Martin del Potro in the semis and the Argentine conceded, it is "lmost impossible" to beat the Spaniard on clay. "He's too strong. He's improving his backhand a lot. That's why he's the number one and beating all the guys. He looks fresh. He is healthy. And the strength that he has and the mentality, everything is perfect, works perfect for him playing on clay. Let's see what Dominic can do. I mean, Dominic beat Rafa in Madrid. 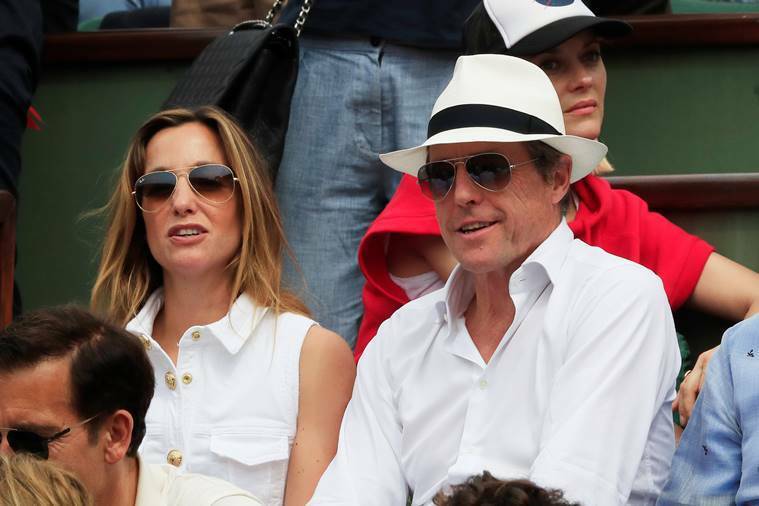 Maybe on Sunday he can repeat," said Del Potro. Dominic Thiem on the final: "If I want to beat him, I have to play that way like I did in Rome and in Madrid. I know how to play against him. I have a plan. But I'm also aware that here it's tougher. He likes the conditions more here than in Madrid, for sure. Best of five is also different story." Rafael Nadal on the final: "I have a very difficult match against a player that is playing great. I know I have to play my best if I want to have chances. Sunday is the day to give my best, is the day to increase even a little bit more the level." 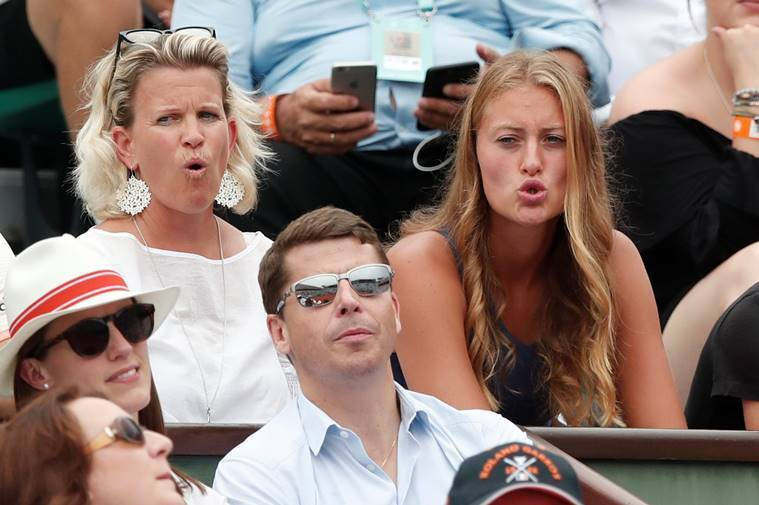 French Open Final Live: A popular saying in tennis circles goes: 'death, taxes and Nadal in the final of a French Open final are inevitable'. And it is that time of the year when that saying gets repeated once again. But in his way to an 11th title on the Parisian clay stands a worthy opponent who has shown his mettle against the Spaniard. Dominic Thiem, in his first grand slam final, has a massive task ahead of him - beat Nadal in a five setter at French Open. Or just beat Nadal at French Open where the Spaniard has lost only twice. 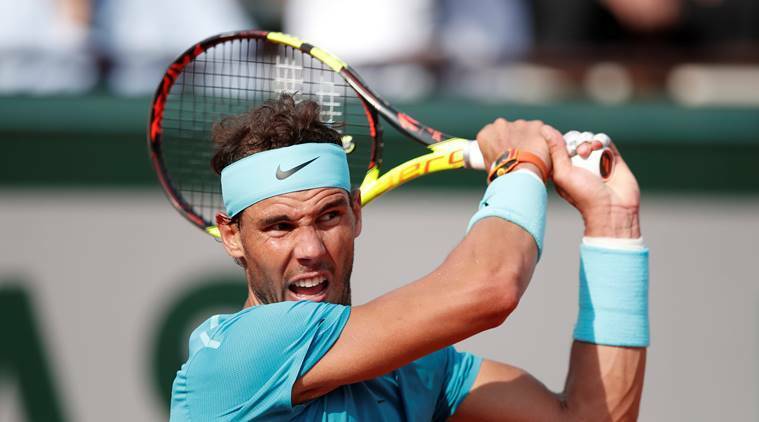 The three wins that the Austrian has over Nadal, all have come in best-of-three setters setters and the best-of-five rule at Roland Garros plays into the hands of Rafa who liked to grind it out for the win.